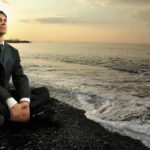 « Downshifters – who are they? 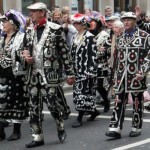 Pearly Kings and Queens give London its unmistakable atmosphere. 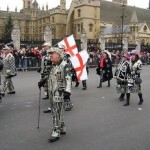 They are as much a symbol of London and England as James Bond, Mr. Bean, David Beckham and Paul McCartney. 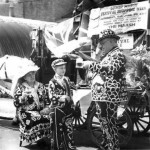 In 1875 Henry Croft started the London tradition of Pearly Kings and Queens. The boy’s parents died when he was a baby and he was put in an orphanage. It was normal for children to earn their own living in those days. When Henry was thirteen, he had to leave the orphanage and find a job. His first job was as a sweeper in the Somers ‘ own market. 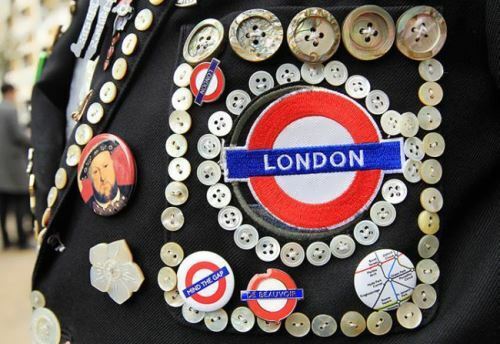 He soon made lots of friends amongst the local traders, called Costermongers, who sewed pearly buttons on the seams of their trousers, jackets and caps to show their status. Henry’s new friends were kind and caring and ready to help each other. Henry wanted to do something for poor people and decided to help the kids at his old orphanage. 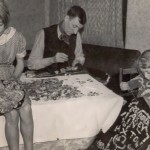 He picked up pearly buttons that fell off people’s clothes at the market and started sewing them onto his clothes. 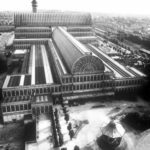 At the end of September and the beginning of October, when the agricultural work was finished, fairs and festivals started in Europe. 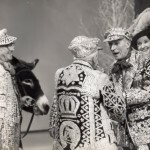 And of course, the young tailor made a furor when he appeared at the festival in a suit embroidered with pearls.  Henry became a local landmark and began to collect donations to help poor people. Croft died in 1930. 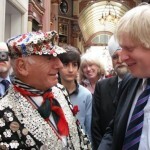 His funeral was attended by a large number of people, and 400 Pearly Kings and Queens followed the coffin. 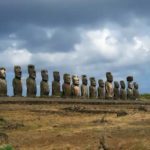 It is estimated that before his death he had collected around 200,000 pounds. 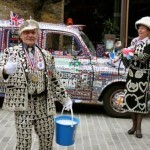 Henry’s good work is carried forward by the Pearly Kings and Queens of today. 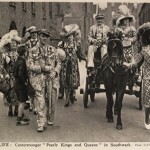 Just like more than a century ago, Pearlies raise money for charity and contribute to many good causes. 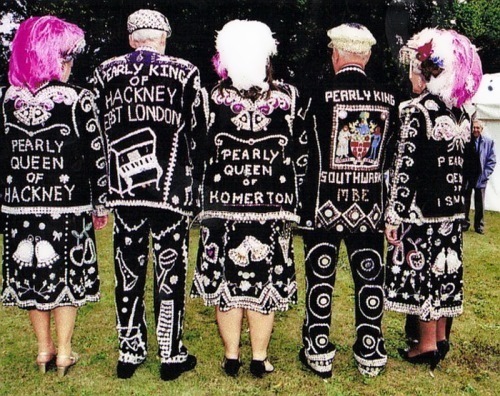 Pearly Kings and Queens speak a very special language. It’s called ‘rhyming slang’ because words are often replaced by other words or phrases which rhyme. For example, ‘butcher’s hook’ means ‘look’, ‘loaf of bread’ means ‘head’. However, usually the first word of the phrase is used, for example, ‘Use your loaf!’ means ‘Use your head!’. Rhyming slang began in the early 19th century and it was a secret language amongst the East End criminals. This slang is still used and new rhymes are invented every day. The Pearly Costermonger’s Harvest Festival celebrated on the last Sunday in September. 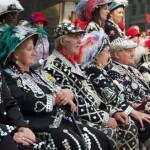 There are about 40 families of Pearlies today in London. All of them take part in charity events. You need 30 thousand buttons to decorate a costume. It’s not easy to wear such clothing because the weight of the dress can reach 30 kg! 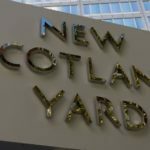 Well, Coco Chanel was sure: “Pearl is always right.” Perhaps that is why this decoration has become a symbol of charity in England. 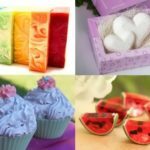 Do you know what you wash with?